The hand-held Weedstick+ is a precision applicator for the selective application of herbicides to individual weeds. It puts weedkiller precisely where it is needed - on the weed. There is no risk of any spray drift so you can even use it on windy days. 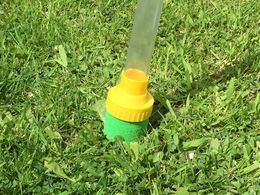 The Weedstick+ has significant advantages over conventional methods of application such as knapsack sprayers for spot applications or using herbicides in sensitive areas e.g. flower beds. 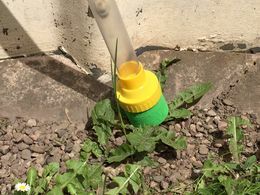 The Weedstick+ is simply placed over the weed to be controlled and pressed down to dab a dose of herbicide. 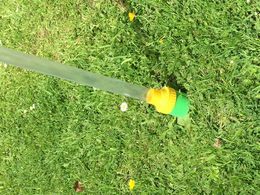 Use the Weedstick+ when the ground is moist and the weeds are growing well. The ideal time for treatment is between late spring and late summer.